The other night I was just scrolling through my twitter feed and noticed a few tweets from the lovely Miss Mandy Hale a.k.a. The Single Woman. 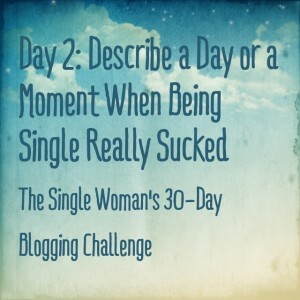 And after searching further, I found this 30-Day Blogging Challenge. 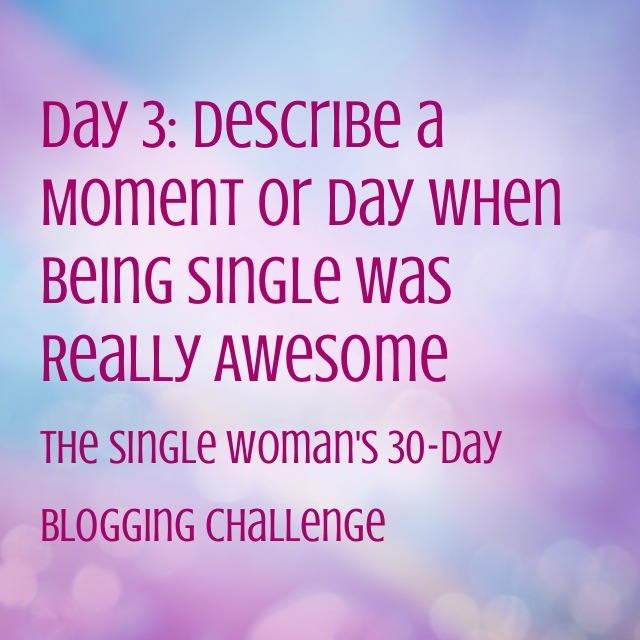 And I thought….what a better way to break my writers block than by writing about something I know very well….being single. So, I’m in. It started on October 4th so I will be blogging day 1-3 in this post….then one a day going forward. Ready? Me too! “Just waiting on the right one” is my typical answer. But honestly, I’ve picked so many “non-winners” in the past few years that I am super scared to even put myself out there again. If Mr. Right wants me, he is going to have to show up at my door and introduce himself as Mr. Right, with a list of qualifications and then be patient enough to come back every day because I will most likely close the door in his face. Weddings are horrible! I avoid them like the plague. I’m so happy for my friends and family that are getting married and I love be surrounded by so much love. And I haven’t always hated weddings. I loved going to weddings in my early 20s with a group of girls or random boyfriends. You know, where there were typically more singles than couples. These days, singles at wedding are children or kids in their 20s. My favorite single moment(s) will probably sound extremely selfish…but I love sleeping in the middle of the bed. While I do enjoy the company of a man in the bedroom, I do enjoy the ability to sleep right in the middle of the bed, with all the covers and as late as I want – without judgement. 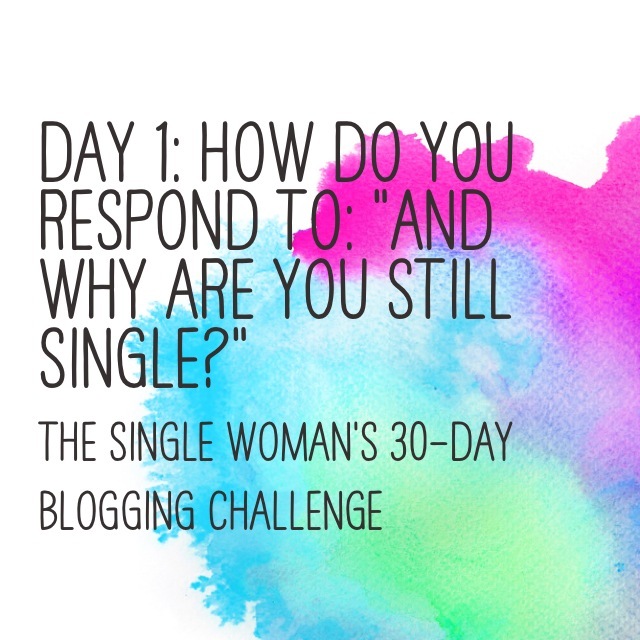 Not only am I loving this challenging, I love the graphics which totally stole from Miss Mandy’s web site – thesinglewoman.net.